In 2004 I came to Houghton Library as a cataloger working on the newly arrived Donald and Mary Hyde Collection of Dr. Samuel Johnson, and today I have the honor to serve as the curator of that collection. Working with these materials for more than a decade has been both an education and a great pleasure. 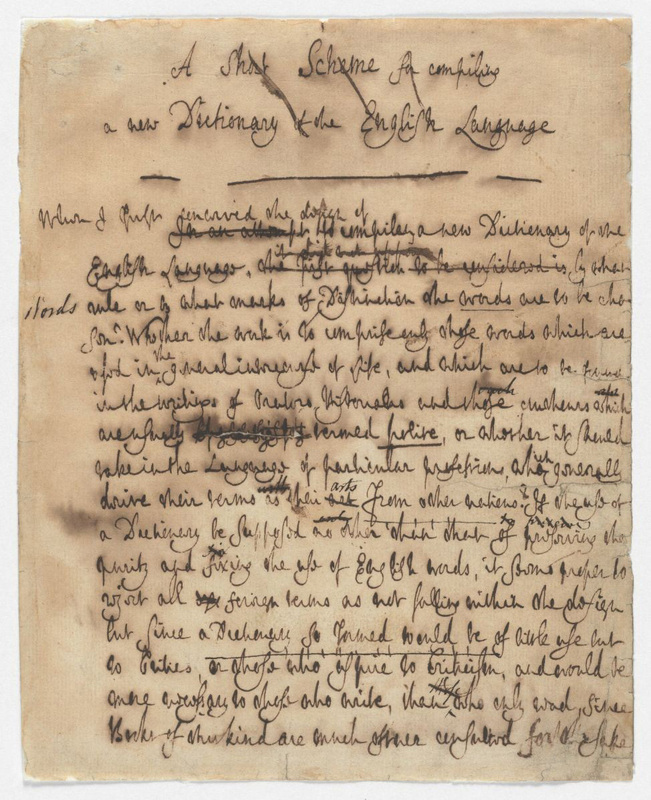 This fragile document written in Johnson’s hand represents the origin of his great and enduring intellectual achievement, A Dictionary of the English Language. It is an awesome responsibility, in all senses of the word, to be its temporary caretaker.